Since 2008 Oaks Volleyball Club has been training volleyball athletes to perform at their best. 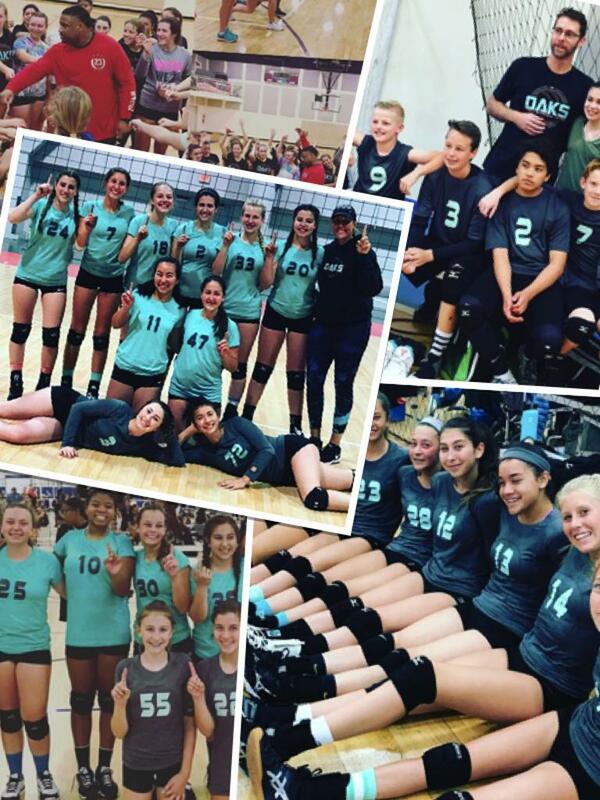 Oaks VBC is a family run volleyball club where players are treated with respect and challenged physically and mentally to enhance their performance. Club Director Carrie Wright provides experienced direction and leadership to the Club's coaches and athletes with the goals of volleyball and athletic skill development. Oaks VBC team rosters are kept small to maximize practice repetitions and playing time. We believe that volleyball can provide so much more to our athletes than just the obvious physical benefits. In today's world, we believe you must have the ability to persevere and a strong work ethic to achieve your life goals. As such, we use volleyball as a vehicle to help bring out the personal bests in all of our athletes. Practice and training is where growth occurs. OVC provides the highest level of technical and fundamental training to each athlete. It is the Club's goal that each and every practice will be an opportunity for our athletes to grow in their volleyball knowledge, skill, strength and stamina. OVC trains each team to compete at the highest level of performance possible. Competition is the chance to test oneself and the team in order to determine the needs for growth. While teaching each athlete to perform at their personal best, we aspire to have nationally recognized and competitive teams. Legendary Basketball Coach John Wooden said it best, "Be more concerned with your character than your reputation. Character is what you really are; reputation is merely what you are perceived to be." Our goal is to ensure our players have strong character. This will be challenged through competition as much as it is in life. Which is why we demand that each athlete demonstrate respect for others, take personal accountability for their actions, and act responsibly on and off the court. OVC coaches model exceptional character and provide a positive learning environment for our athletes.